UPDATE 28/10: Muito obrigada a todos que participaram da votação! O livro mais votado por vocês foi Anna and The French Kiss, que leremos no mês de Novembro e será o tema do nosso primeiro encontro. Peço encarecidamente para que vocês leiam, mas é claro que deve ser a edição americana, senão o projeto perde o sentido, né gente? Olá leitores e leitoras, tudo bem com vocês? Há alguns dias vocês devem ter visto que agora somos parceiros da Penguin Stacks English, certo? 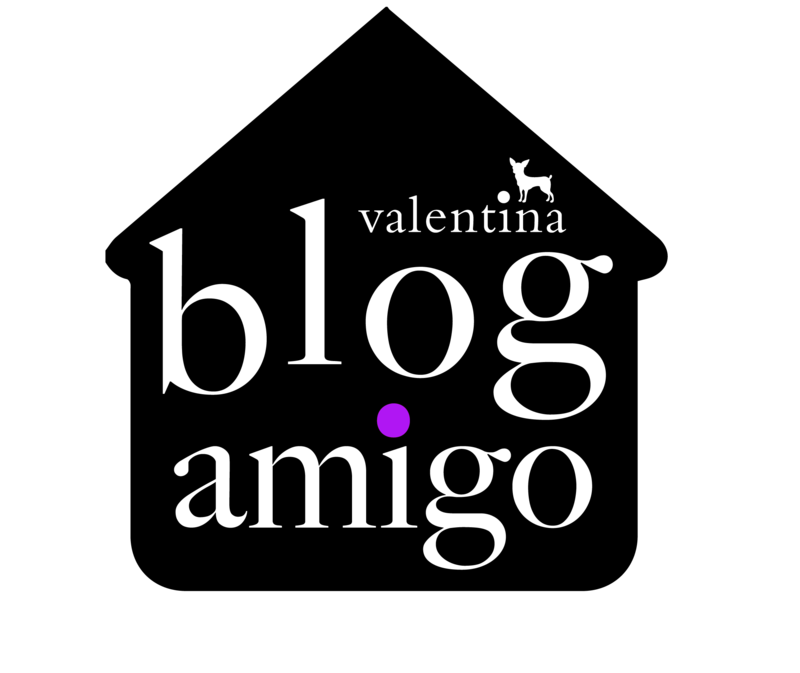 Desde que conquistamos esta parceria algumas ideias sugiram em conjunto com os blogs mencionados no banner. Clube do Livro presencial: Como vocês já ficaram sabendo antes, a cada dois meses vai rolar uma votação aqui, com cinco livro em inglês escolhidos no catálogo da Stacks. O livro mais votado por vocês será lido e resenhado no prazo de um mês. Após isso, iremos sortear CINCO exemplares entre as pessoas que participaram da votação e, após isto, iremos ter o encontro em uma livraria (aqui em Fortaleza será na Livraria Cultura) para discutir o livro lido (por isso indicamos que leiam o livro - e-book é baratinho - caso queiram participar do evento, mas não é uma coisa necessária, só fica mais legal se vocês também lerem para podermos discutir sobre linguagem, slangs, nível de dificuldade, etc.,) e também acompanhar de perto o desenvolvimento de vocês na leitura em inglês, certo? Os eventos ocorrerão em: São Paulo Capital, Fortaleza, Rio de Janeiro e Brasilia. Nada certo ainda, mas se o projeto der certo, pode ser que a gente consiga fazer os eventos em outras cidades também. 1. 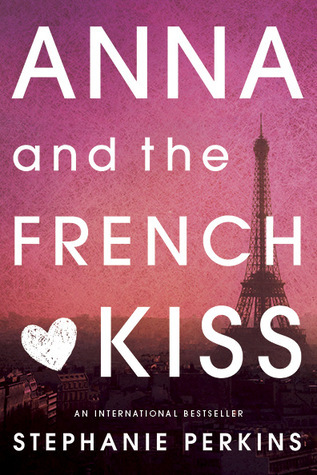 Anna and the French Kiss - Stephanie Perkins: Can Anna find love in the City of Light?Anna is happy in Atlanta. She has a loyal best friend and a crush on her coworker at the movie theater, who is just starting to return her affection. So she's less than thrilled when her father decides to send her to a boarding school in Paris for her senior year. But despite not speaking a word of French, Anna meets some cool new people, including the handsome Étienne St. Clair, who quickly becomes her best friend. Unfortunately, he's taken —and Anna might be, too. Will a year of romantic near misses end with the French kiss she's waiting for? 2. 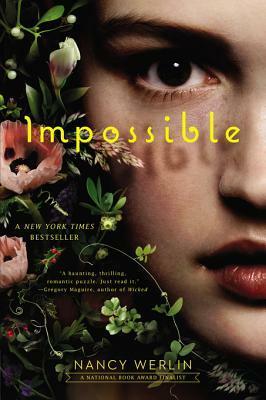 Impossible - Nancy Werlin: A beautifully wrought modern fairy tale from master storyteller and award-winning author Nancy Werlin Inspired by the classic folk ballad "Scarborough Fair," this is a wonderfully riveting novel of suspense, romance, and fantasy. Lucy is seventeen when she discovers that she is the latest recipient of a generations-old family curse that requires her to complete three seemingly impossible tasks or risk falling into madness and passing the curse on to the next generation. Unlike her ancestors, though, Lucy has family, friends, and other modern resources to help her out. But will it be enough to conquer this age-old evil? 3. 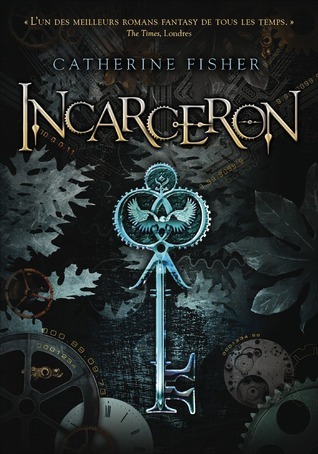 Incarceron - Catherine Fisher: A thrilling, high-concept fantasy for fans of Garth Nix and Nancy Farmer. Incarceron is a prison so vast that it contains not only cells, but also metal forests, dilapidated cities, and vast wilderness. Finn, a seventeen-year-old prisoner, has no memory of his childhood and is sure that he came from Outside Incarceron. Very few prisoners believe that there is an Outside, however, which makes escape seems impossible. And then Finn finds a crystal key that allows him to communicate with a girl named Claudia. She claims to live Outside- she is the daughter of the Warden of Incarceron, and doomed to an arranged marriage. Finn is determined to escape the prison, and Claudia believes she can help him. But they don't realize that there is more to Incarceron than meets the eye. Escape will take their greatest courage and cost more than they know. 4. 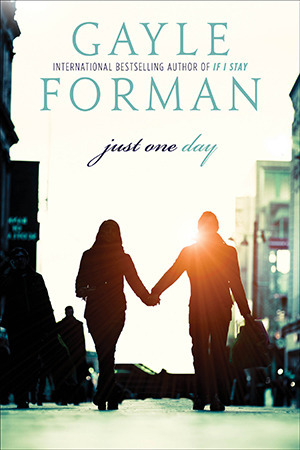 Just One Day - Gayle Forman From the New York Times bestselling author of If I Stay: Allyson Healey's life is exactly like her suitcase—packed, planned, ordered. Then on the last day of her three-week post-graduation European tour, she meets Willem. A free-spirited, roving actor, Willem is everything she’s not, and when he invites her to abandon her plans and come to Paris with him, Allyson says yes. This uncharacteristic decision leads to a day of risk and romance, liberation and intimacy: 24 hours that will transform Allyson’s life. A book about love, heartbreak, travel, identity, and the “accidents” of fate,Just One Day shows us how sometimes in order to get found, you first have to get lost. . . and how often the people we are seeking are much closer than we know. The first in a sweepingly romantic duet of novels. Willem’s story—Just One Year—is coming soon! 5. Paper Valentine - Brenna Yovanoff: The city of Ludlow is gripped by the hottest July on record. The asphalt is melting, the birds are dying, petty crime is on the rise, and someone in Hannah Wagnor’s peaceful suburban community is killing girls.For Hannah, the summer is a complicated one. Her best friend Lillian died six months ago, and Hannah just wants her life to go back to normal. But how can things be normal when Lillian’s ghost is haunting her bedroom, pushing her to investigate the mysterious string of murders? Hannah’s just trying to understand why her friend self-destructed, and where she fits now that Lillian isn’t there to save her a place among the social elite. And she must stop thinking about Finny Boone, the big, enigmatic delinquent whose main hobbies seem to include petty larceny and surprising acts of kindness. With the entire city in a panic, Hannah soon finds herself drawn into a world of ghost girls and horrifying secrets. She realizes that only by confronting the Valentine Killer will she be able move on with her life—and it’s up to her to put together the pieces before he strikes again. 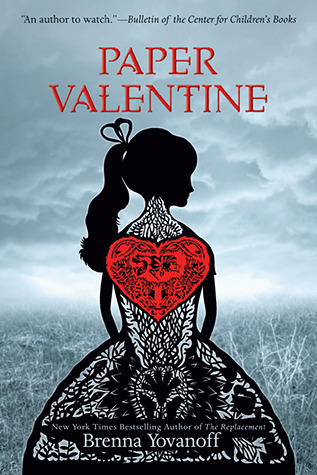 Paper Valentine is a hauntingly poetic tale of love and death by the New York Times bestselling author of The Replacement and The Space Between. Nós realmente esperamos que vocês tenham gostado da ideia e que participem conosco! Obaaaaa!!! Aguardo sua presença heim Hortencia!!! Já votei, gostei muito dessa ideia, pena que não vou poder participar do encontro presencial, pois moro muito longe, mas deixa pra próxima. Que ideia legal para quem lê em inglês. Espero que o projeto tenha muito sucesso!! Parabéns por mais essa parceria!!! E que mais e mais apareçam!!!! Uma pena que sou uma negação em Inglês, mas achei bem legal essa novidade. Fora o "Anna e o Beijo Francês", algum desses outros já foi publicado aqui no Brasil?!?! Nardonio, Incarceron, pela Novo Século. Os outros acho que ainda não, apesar de que eu acho que a Bertrand vai trazer Paper Valentine. Não sabia de "Incarceron". Vou procurar saber um pouco mais sobre ele. Bem legal esse projeto e o livro escolhido também, uma pena eu não saber ler em inglês.